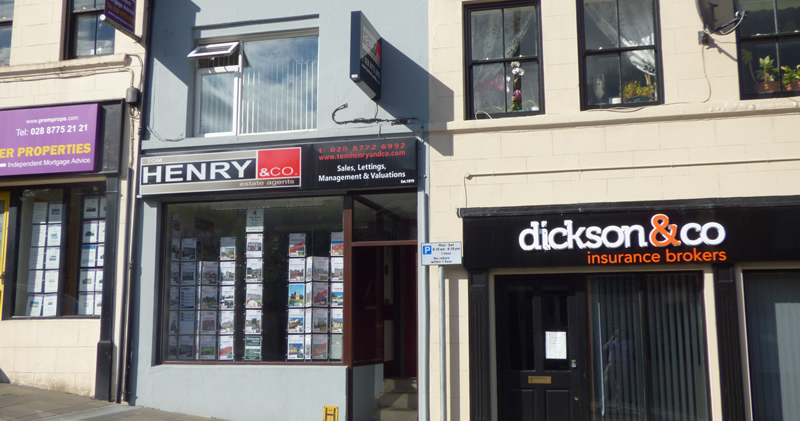 At Tom Henry & Co, we possess local knowledge, the ability and desire to understand the expectations and aspirations of our clients, as well as the similar needs of potential purchasers. Couple this with our genuine love for property AND people, unrivalled knowledge and experience in the local market place, a professional approach with a sensitive and empathetic attitude, together with a dedication to continuously improve our service through employing the latest technologies, Tom Henry & Co are capable of delivering the leading service for all your property needs. So whatever your property needs, contact Tom Henry and Co. Highly qualified staff; Tom Henry - member of the Royal Institute of Chartered Surveyors (RICS). Stephen Henry - Honours degree in Property Investment and Assoc. member of RICS. Tom Henry & Co are an RICS member firm and members of The Property Ombudsman. Regularly updated website with high quality virtual tours available. Full colour brochures with professional photographs & 3D floor plans.. Significant market exposure via social media, billboard advertising, locl press and numerous online property portals. Accompanied viewings; including after hours.